I had a very hard day yesterday (for reasons that I am too professional to write about). Let's just say it was a hard day. And then I saw a tweet that sums up everything I want my life to be. My goal is not to be a successful businesswoman. My goal isn't to make a certain salary. In my heart of hearts, I don't care about that at all. 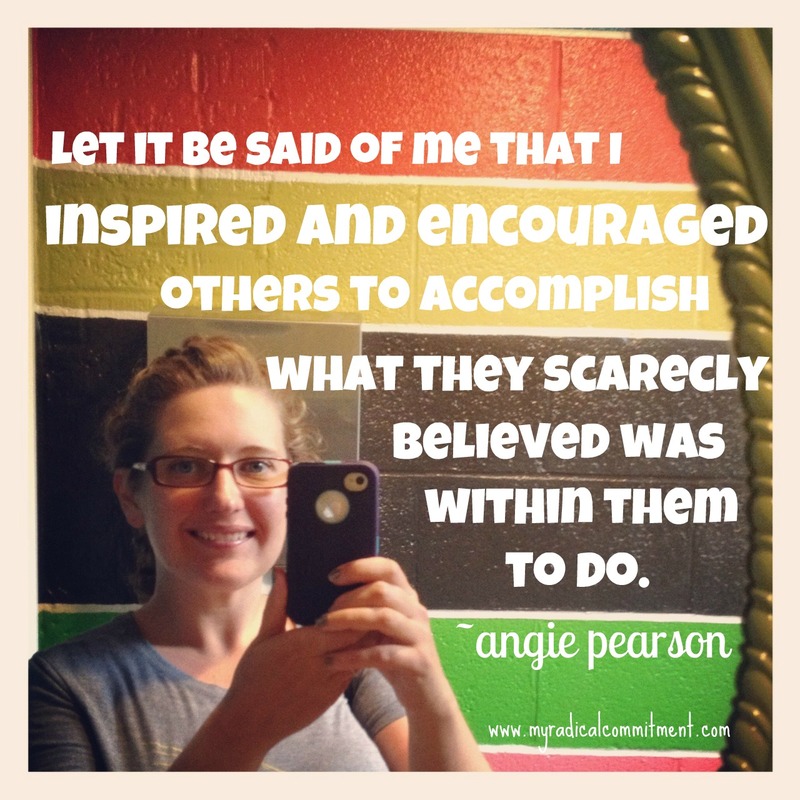 I have the same calling in my heart that Angie does. So I'm taking her quote and my self-portrait from one of the happiest places in Lexington (yes, that is the bathroom at Morris Book Shop) and I'm going to stay focused. On what is important. On what I really want. On who I want to be when I get really really honest. And I just trust that everything else will fall into place when I am true to myself. So thank you, Angie. For tweeting my truth yesterday. For inspiring me to be honest with myself. For comforting me in a way you didn't know I need.